Exactly how much you spend should be determined by your closeness to the bride or groom and your economic circumstances. If you are in the stage of life where you have 10 friends getting married in one summer, then most likely you won’t spend the same amount on each gift as you would if you just had just one friend getting married. If you have been out of a job for six months, your friends certainly don’t want you to spend as much as their friend who is working on Wall Street. And you don’t have to reciporcate what someone spent on your wedding gift. Because everyone’s financial circumstances are different, I like to say be as generous as you can with what you have. Should I take into consideration other costs I am spending on this wedding (i.e. shower gift and/or travel expenses)? Yes. Some use the 20-20-60 rule. Determine how much you want to spend total, then divide that number into: 20% for the engagement present, 20% for the shower present, and 60% for the wedding present. Now this would only be the case for a close friend who would invite you to these events. (And this would also make my case for why you shouldn’t invite people to more than one shower – but that is another post for another day!). For the actual wedding gift, if there are travel or extra expenses involved, it is totally fine to spend less than you normally might have, as long as the gift is not crummy, if you know what I mean! A gift that you got at Marshall’s that looks like it’s already been returned four times comes across as cheap, in my opinion. Just them something off their registry, but spend less than you usually would. Or perhaps give them something personal such as monogrammed cocktail napkins. I have some linked below that aren’t super expensive. If I am invited to multiple showers, should I bring a gift to each one? I recently heard of someone who was invited to four wedding showers. Now this is just ridiculous! Proper etiquette (a.k.a. the gracious thing to do) is to avoid putting people in this position by just inviting them to one shower. (Again, another topic for another day). 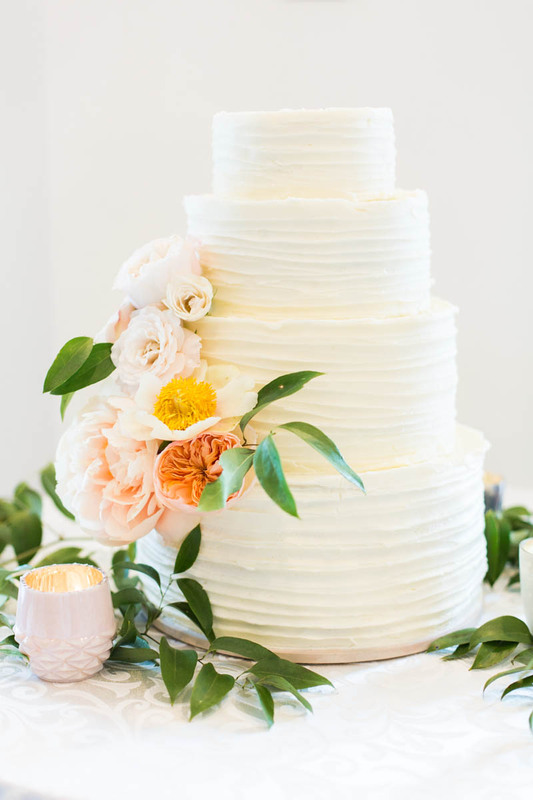 But because a lot of people either ignore or are unaware of this standard, I would say that if you are invited to more than two gift-worthy events (shower or engagement party) then, if the opportunity arises, tell the bride that instead of giving multiple smaller shower presents, you will be giving her one gift total. This will work whether you planned to spend $20 or $200 on the gift. Most brides would not want you buying multiple shower presents anyway; they are just usually too overwhelmed with wedding details that they forget to make this clear! If I can’t attend a wedding, should I still send a gift? Yes. Same goes for showers. Although some etiquette experts say sending a shower gift in your absence is not necessary, but I disagree. Do I need to give them something off their registry? No. A registry is a suggested list of gifts, not a required one. Now I do think one should always start with a couple’s registry. After all, that is a thoughtful thing to get them what they want or need. But sometimes couples don’t register for much, only register for super expensive things, or the gifts on their registry have all been bought. In these instances, I think it is definitely okay to go off the registry. Again, be thoughtful and generous with whatever you give. I think homemade gifts (i.e. picture albums, frames, etc.) are fine, but usually only when given by close family and friends. In other words, don’t découpage your assistant’s wedding invitation. Especially when it comes to people that work for you, go above and beyond with your generosity, whatever that means for you. I found this to be a very common practice in New England. In the South, not so much. It really depends on cultural factors. You can always err on the side of buying a gift card that’s sure to be an option on their Williams-Sonoma or Pottery Barn registry. Can I bring my gift to the reception? 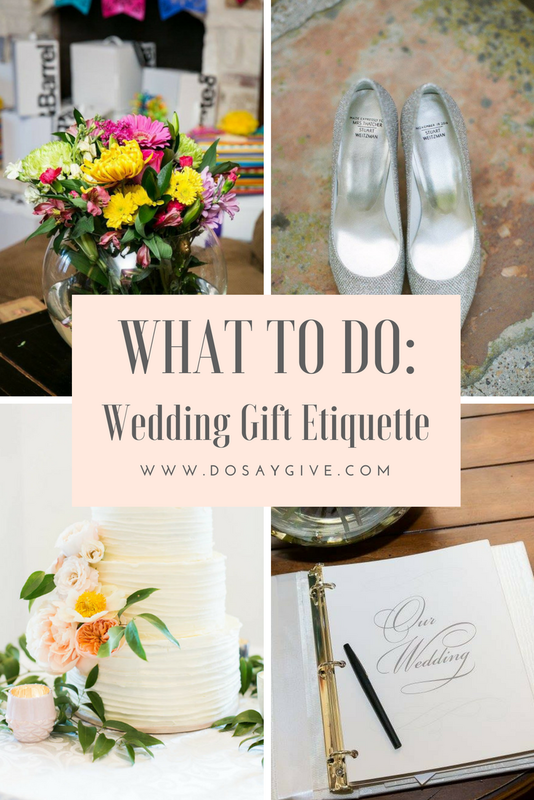 Hope these wedding gift etiquette questions helped answer all your questions. Let me know if you have any more below! If you choose not to give anything off their registry, see my weddings gift ideas here. Yay for wedding season! Thanks for the etiquette tips. They can be tricky at times! I know! Glad to help! Great advice. With all of the different variables in terms of closeness, financial wherewithal, travel distance/expense, and reciprocation, this can be a really tricky things to navigate.